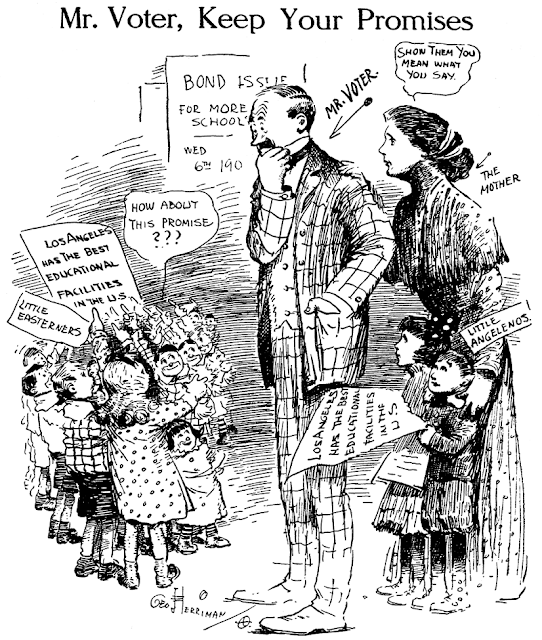 January 4 1909 -- This week Angelenos will go to the polls, and one issue is whether to approve a new bond issue to build additional schools. Believe it or not, Los Angeles in 1909 was in need of money to build their THIRD high school. When I first saw this cartoon, I thought, "Geez mother, if you want the bond issue, stop whining at your hubby and vote for it yourself." Oops -- no can do in 1909! This divided back card offers no copyright info on the reverse, and the artist has chosen not to sign it. 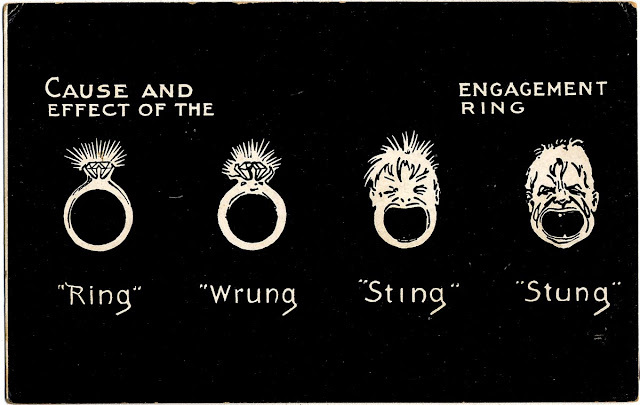 The style and the metamorphosis subject all point me to Winsor McCay, but I'm not aware that he did any postcard work. Even the Little Nemo series of postcards does not sport the Master's own artwork. Anyone care to hazard a guess as to our mystery cartoonist? Thanks for sticking with the blog for all of these years! It's nice that you credit Jim Ivey for opening up this world of fun to you. Good job! I came upon a short stack of miscellaneous Sunbury (PA) Daily Item 1972 comics pages in my "to be filed" tower (the word 'pile' having been given up as a gross underestimation at this point). I came upon a single page, dated July 1 1972, that included the above strip, Lumer by Jerry Beaver. Other pages from late June did not include the strip. I had no comics pages from later than this date. Since I have no other record of the strip or the cartoonist, I pose the question to you -- does anyone have any info on the strip or Jerry Beaver? Since I have only the one example, I can't even list it as a series. * Does anyone know of an online resource that identifies if and where a digital archive for a particular newspaper title is available? I spend a lot of time looking for newspaper titles (like for instance the Sunbury Item), checking newspapers.com, Google, Library of Congress, state archive websites, etc., and it sure would be great if that information was available in some central repository -- the Wikipedia page for the newspaper would get my vote as ideally convenient. * a correspondent has asked me to tell him, in great detail, how newspaper comics get from the cartoonist's drawing board all the way to the printed page. He wants to know about the whole technical process, in layman's terms. Given that I don't have the free hours to do a complete brain dump, and that I'm likely to get some details wrong anyway, any suggestions for online sources where he can read up on this process? He is, of course, interested in how things worked in the bad old days, not in our new digital world. 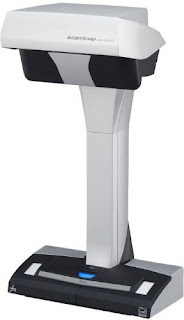 * I have just recently discovered that overhead book scanners are now available to the general public at reasonable prices (if -- gulp -- $800 can be judged reasonable). I've been looking at the Fujitsu ScanSnap SV600 specifically, but there are others. I would very much like to hear from anyone who has one of these, or knows how well they work, or can offer any suggestions on the particular brands and models that work best. The online reviews for the Fujitsu are decidedly mixed, and the reviews for the lesser brands are downright awful, so I'm wondering if I need to wait until the 'bleeding edge' days have passed. I have fantasies of digitizing my collections of various journals and getting rid of many running feet of bookcase space. Ooh, to have searchable digital versions of my long runs of Editor & Publisher! Nirvana! There are a few resources I can recommend for finding free newspaper databases. Also search for "digital newspapers" every so often in news.google.com for news stories & press releases on newly digitized newspaper collections. Thanks for the links. Looks like Beaver did intend the strip to be ongoing, since he filed for copyright, but it seems he didn't manage to produce strips enough for daily frequency, since I have June issues that don't run the strip. I guess until I get to the Sunbury microfilm someday, or someone digitizes it, I'll have to table it. Thanks for the wiki link. Although it is far from authoritative, it is another excellent weapon for my arsenal. Thanks! Gaar Campbell Williams was born in Richmond, Indiana, on December 12, 1880, according to the Illinois Death Index at Ancestry.com. Marriage records revealed his parents’ full names, George Rich Williams and Sarah Elizabeth Campbell. In the 1880 U.S. Federal Census, which was enumerated June 15, the couple resided in Richmond, Indiana at 34 Eighth Street. Williams’s father was a court clerk. Richmond city directories of 1885 and 1890 listed the Williams address as 410 North Fifteenth Street. The Chicago Tribune, June 16, 1935, said Williams, while in high school, studied at the Cincinnati Academy of Fine Arts during vacation breaks. After graduating high school, Williams continued his studies at the Chicago Art Institute. Williams initially pursued commercial art but switched to the newspaper field where he drew political cartoons for the Chicago Daily News. According to the a brief profile in the collection of the Indiana State Library’s Rare Books and Manuscripts, Williams was a staff artist on the Chicago Daily News from 1904 to 1909. A 1905 Chicago city directory had this listing: “Williams Gaar C artist 1702, 77 Jackson bowl H2667”. The listing in the American Art Annual (1905) had this address: “Williams, Gaar C, 1712 Great Northern Bldg.. Chicago, Ill. (P.)”. Williams produced a number of bookplates which were printed in Brush and Pencil, August 1905, and Indiana Bookplates (1910). 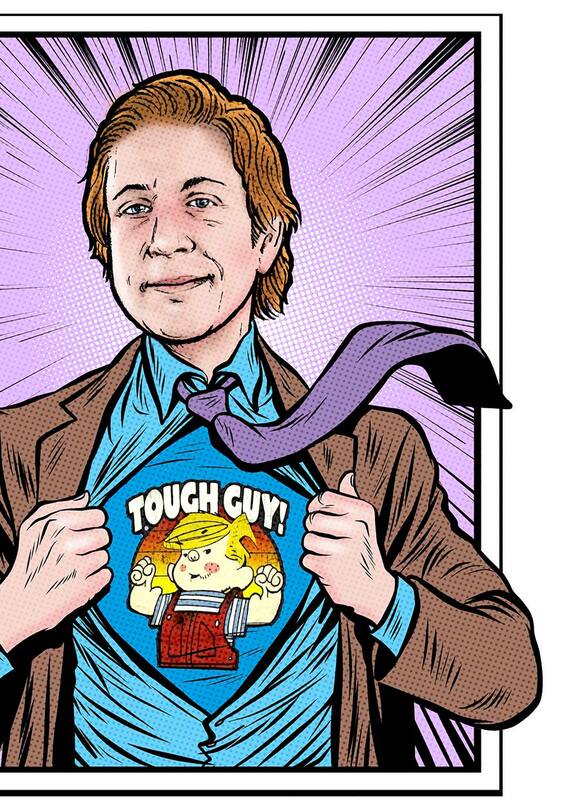 American Newspaper Comics (2012) said Williams produced a series for the Chicago Daily News. Buttons and the Butler ran from December 18, 1906 to January 11, 1907. Williams was one of several artists to draw the Chicago Daily News’ Tiny Tinkles. Williams’ run went from January 11 to January 29, 1907. In 1909 Williams joined the Indianapolis News and stayed for twelve years. The 1910 census said newspaper cartoonist Williams was an Indianapolis resident at 947 Pennsylvania Street North. On April 22, 1911, Williams married Magdalena Englebert. The couple lived at 140 East 44th Street according to Williams’ World War I draft card which was signed on September 12, 1918. The description of Williams was tall and slender with blue eyes and brown hair. 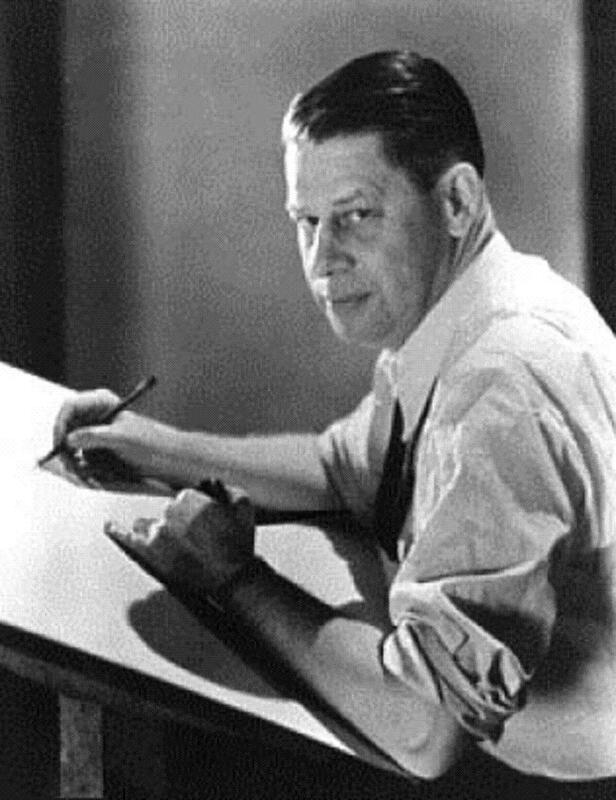 Williams illustrated a number of books including Keeping Up with William (1918), Days Gone Dry (1919), The War in Cartoons (1919), and The Young Immigrunts (1920). Williams’ address was unchanged in the 1920 census. In 1921 Williams joined the Chicago Tribune. According to American Newspaper Comics, Williams produced a Chicago Tribune cartoon panel from 1922 to mid-1935. The panel was known by a number titles: A Strain on the Family Tie; Among the Folks in History; How to Keep from Growing Old; Just Plain Folks; Our Secret Ambition; Something Ought to Be Done About This; Static; When Words Fail Yuh; Wotta Life! Wotta Life! ; and Zipper. The strip Mort Green and Wife, and its topper, Zipper, debuted October 4, 1931 from the Chicago Tribune. Williams and his wife vacationed in Europe. They departed Cherbourg, France, on May 27, 1928 and arrived in New York City June 4. Their address on the passenger list was 90 Lakewood Road, Glencoe, Illinois. The same address was recorded in the 1930 census. Williams passed away June 15, 1935, in Chicago. His death was reported the following day in the Chicago Tribune. Williams was laid to rest in Earlham Cemetery. Although Gaar Williams is for the most part forgotten today, in the 1920s and 30s he was very well-known for his cartoons in the mode of Clare Briggs and H.T. Webster. One of his continued series from that weekday panel was A Strain on the Family Tie, and eventually the Chicago Tribune, his syndicate, asked him to add a Sunday page of the feature. Originally titled Mort Green and Wife when it debuted October 4 1931 (it was later retitled to agree with the daily panel), it had a topper titled Zipper, about a dog. 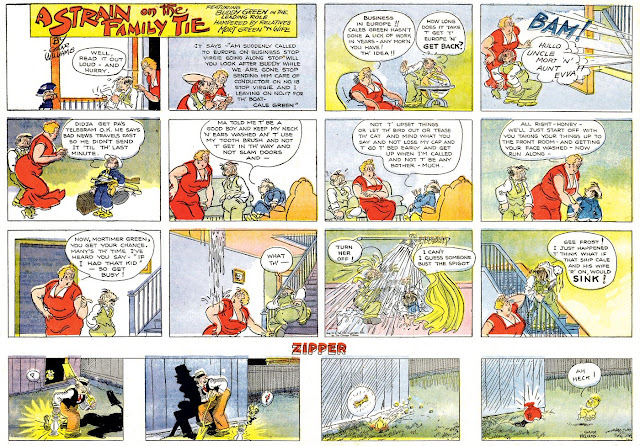 This topper strip was another of Williams' continuing weekday series. It was a pretty low-key effort, but consistently worth perusing. It was wordless, or nearly so, which was a pleasant change from the main strip, which tended toward excessive verbiage. Zipper was discontinued on October 8 1933, two weeks after the strip's name was changed to A Strain On The Family Tie. I have no idea what the two events might have had to do with each other. From then on the Sunday did not include a topper strip.